Amos is an Accountant by training. He completed his undergraduate studies at the prestigious Makerere University Business School (MUBS) Uganda graduating with a Bachelor's degree in Commerce (Accounting). Whilst at the university Amos also undertook concurrent additional study with Oxford Brookes University and graduated with a BSc in Applied Accounting (1st Class honours). Later on Amos undertook an MBA in Finance from Edinburgh Business School of Herriot Watt University UK. Amos brings on board a wealth of over 10 years experience in finance. He has specialised in financial management, strategy and business planning. Amos has previously worked with one of the top 4 audit and advisory companies; he worked in both local and international banks in Uganda. Amos has developed a keen interest in Energy and has been involved in structuring of a couple of projects, he was the Team Manager on a recent GOU review of the Electricity sector in the country. 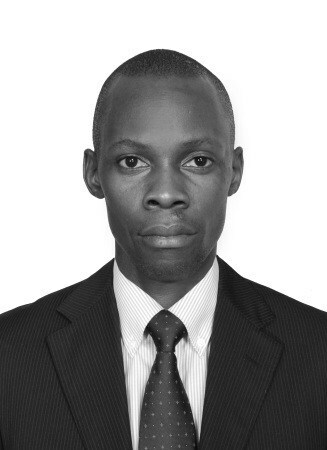 Amos has a passion for teaching which he has done for the last 10 years, he has taught at the local university and also lectured at the top accountancy college in Uganda and Rwanda. He is a certified tutor for the Edinburgh Business School MBA Finance course. Amos loves and enjoys fun and adventure and is a keen supporter of Manchester United.